Motor oil is what keeps your engine alive and revving. Without oil to lubricate and cool down the moving parts, your engine would run for a matter of seconds and then then seize completely. Changing your oil in the intervals recommended by your vehicle's manufacturer should be your number one priority, and will ultimately be the life saver in keeping your engine running. 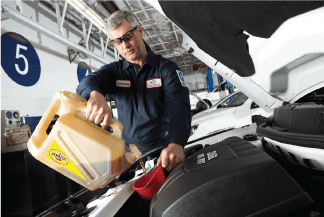 If you were to stroll into your local Pep Boys or simply run a search for motor oil, chances are you will face an overwhelming selection of oils in a variety of grades made by a multitude of manufacturers. 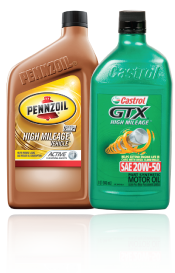 It can be difficult to tell each apart, or know which motor oil is the best for your vehicle. 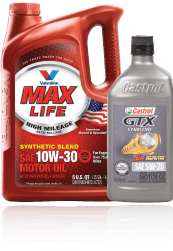 Can I use regular oil, or do I need synthetic? What do all of those numbers on the front of the bottle mean? Trust the Boys to help break this down. One of the first things you will notice is a series of numbers shown on the bottle. These digits correspond to a set of measurable qualities in the motor oil, one being the viscosity index. Viscosity is the oil's resistance to flow. The higher the viscosity, the slower it flows. A lower number refers to thinner, faster-flowing oil. Feature two numbers in their ratings. The left number refers to the oil's behavior in colder conditions, while the right number signifies its behavior in warmer conditions. Multi-viscosity oils also include a W, which stands for winter. These motor oils were developed to be able to handle either spectrum of temperature extremes. After you have checked your owner's manual, you will see one of the below oils recommended for your vehicle. Keep in mind that oil type varies for different types of cars, such as high-tech engines, new cars, higher-mileage vehicles and heavy-duty/off-road SUVs. All of the below oils that we sell adhere to API (American Petroleum Institute) and SAE (Society of Automotive Engineers) standards. You must match the viscosity and variety to your specific vehicle in order to ensure the best performance for your vehicle. It's no secret that today's vehicles last longer. High mileage oils are formulated with seal conditioning additives that flow into the pores of the seals to restore their shape and increase flexibility. 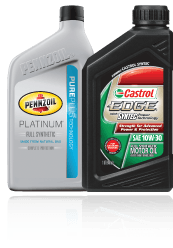 These oils are designed for high mileage engines with 75,000 or more miles and will keep your engine running longer. Synthetic blends offer a premium blend of synthetic and conventional oils. This combination provides advanced technology against tougher driving conditions, such as stop-and-go traffic and long engine running time. 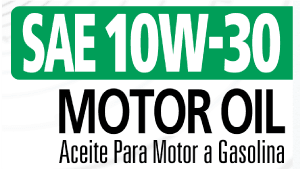 Full synthetic oil provides your engine with the highest level of protection. It has superior lubricity and longer lasting performance. It also transfers heat better, and is the most durable of the oil types. 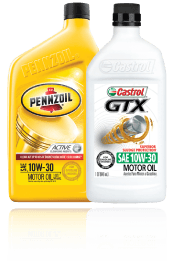 Visit Pep Boys online to discover which motor oil will keep your car running smoothly. Need help finding the perfect match? We're here to help! All you need to do is schedule an appointment with one of our experts.